“Join Us” as State Theatre New Jersey’s Broadway Series continues with the “extraordinary” Tony® Winning production of Pippin. Originally opening on Broadway in 1972 and running for almost five years, this latest production of Pippin was re-imagined by director Diane Paulus (Waitress, Finding Neverland), and revived on Broadway in 2013 to win four Tony Awards® including Best Revival of a Musical, stunning audiences with its incredible acrobatic, and “cirque-like” performances. With a score by Stephen Schwartz (Wicked, Godspell), and a book by Roger O. Hirson, Pippin tells the story of a young man who believes he was born to do something “extraordinary” as he journeys far and wide to find his place in the world, but he learns that even people who were born with greatness thrust upon them hit stumbling blocks before they make it to the top. The story magically unfolds in a circus tent with acrobats who interpret the story known as “players” as well as phenomenal vocal and acting performances by the show’s leads. Pippin will fly high and sing at State Theatre New Jersey for three performances only: Friday, March 24 at 8pm and Saturday, March 25 at 2pm & 8pm. For over forty years, Pippin has stood the test of time with its memorable songs like “Magic To Do,” “Morning Glow,” and “Corner of the Sky;” and its very relatable story. Tony®-winning director Diane Paulus turned this classic material into something truly incredible, combining elegant choreography by Chet Walker (and some original work from Tony® winner, Bob Fosse), as well as “cirque” inspired movement, costumes and set design that bring this story to life. In an interview with Playbill, Paulus said, “You know, the life of an acrobat is how far we go to be extraordinary- which is the theme of Pippin—and when I talked to Chet Walker, who said Bob Fosse loved Fellini and was thinking about circus when he made Pippin, I was like ‘Okay! Light bulb!’ Here’s this way to blend all of them and make the world of Pippin feel really rich and detailed.” Diane Paulus began her career establishing a small theatre group called “Project 400.” Here, Paulus and her husband would present Avant- Garde productions, one of them being The Donkey Show, a disco version of Shakespeare’s A Midsummer Night’s Dream that would run off-Broadway for six years. Paulus then began working for American Reparatory Theatre where she directed many imaginative works and reimagined revivals, including the Tony Award®-winning production of Hair, Finding Neverland, and Waitress, all of which found great success on Broadway. The 2013 revival of Pippin opened on Broadway in April 2013 at The Music Box Theatre to critical acclaim and audiences coming to see the show from all over the country leaving the theatre pleasantly surprised. 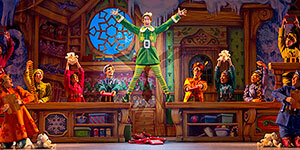 The original cast included Tony®-winners Patina Miller as the Leading Player and Andrea Martin as Berthe. Not only did the production amaze audiences with its cirque like performances, but there were also comedic changes made to the show’s text, and orchestration changes, still managing to stay true to the songs every theatre fan knows and loves. 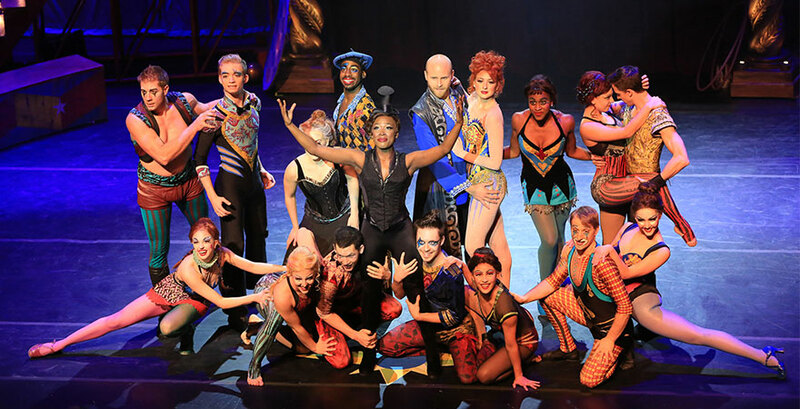 The production then took its high-flying extravaganza across the United States and around the world, and now, Pippin will thrill audiences of all ages with its breathtaking acrobatics, heartwarming story, and catchy tunes at State Theatre New Jersey this March!